Valuing a Complex Car Accident Claim is Similar to Valuing Art. Car accident injury calculators are inherently unreliable. This Car Accident Settlement Value guide should let you know the factors that will inspire insurance companies, judges and jurors to compensate an injury claim. “What is the Settlement Value of my Car Accident Case?” This is a question that you may have asked a lawyer. The odds are you did not receive a particularly satisfying answer. Perhaps you googled the same questions and came across a personal injury calculator. The quest for a fair car accident settlement value should not be guided by an online personal injury calculator or by asking a lawyer to look into a crystal ball to predict the future. If determining how much a car accident case was worth could be accomplished by a personal injury calculator, we would not need to rely on judges and juries. They rely on life experiences to assess value a car accident claim. Insurance companies have attempted to create their own personal injury calculators by using computer programs with names like Colossus. A car accident settlement value assessment depends on multiple factors. The car accident settlement value guide should demonstrate that Maryland car accident verdicts or general rules will only help to value the most ordinary car accident claims. It is relatively easy for an experienced car accident lawyer to provide a value range for a clear liability car accident where a plaintiff suffered a temporary injury such as a back or neck strain and fully recovered within a few months. These case typically result in verdicts of the medical bills plus appropriately documented lost wages and $1,000 to $3,000 per month for pain and suffering. Once a car accident case deviates from the “typical” car accident claim the car accident settlement value becomes more difficult to assess. The injuries a person sustains in a car accident are often the largest factor in the settlement value of a car accident case. The value of a particular injury is unfortunately not always a fair and objective valuation of an injury. Visible injuries are more likely to receive a higher value than injuries that are hidden from view. The person that sustains a fracture that is clearly visible on an x-ray is more likely to receive a larger car accident settlement or verdict than a person who sustained a back strain that was just as painful and disabling. Insurance companies tend to question injuries that are not visible and are more likely to reject compensation for such injuries if the person has had multiple prior personal injury claims. The person that photographed severe facial abrasions from an airbag deployment is likely to receive greater compensation than a person who failed to do so but relied on a hospital record indicating that they sustained airbag abrasions. An insurance company will value car accident claims that are supported by admissible evidence that is beyond question. Complex Regional Pain Syndrome is a painful and debilitating condition that can be caused by an injury and it is generally not a visible condition. Car accident settlements with this condition tend to be unfairly low and are at times not compensated by jurors or insurance companies. Medical documentation, photographs and witness testimony about injuries help establish the settlement value of a particular injury from a car accident, dog bite, or fall. Permanent injuries are also valued based on the life expectancy of the injured party. Expert testimony is generally needed to establish a permanent injury. One notable exception would be scarring from road rash sustained in a motorcycle accident. Insurance companies are less likely to properly value permanent injuries that are less obvious. The loss of a limb from a motorcycle accident will always be easier to value than a chronic back injury from a car accident. Medical treatment is an effective way to demonstrate the severity, duration and limitations that a person has suffered from an injury. Injuries that are obvious such as a bloody nose from an airbag deployment may not require expert testimony from a healthcare provider that has either treated the patient or reviewed medical records. A back or neck strain requires expert testimony. Medical treatment is important because every doctor’s visit or physical therapy session will document subjective complaints and perhaps objective signs of injury. The process of seeking medical care also serves as corroboration to a juror or judge that the person is injured and suffering. Some medical treatments are painful and unpleasant. These types of treatments can be very important to the settlement value of car accident cases involving injuries that are not visible. A person with a neck injury that endures trigger point injections and nerve conduction tests is communicating to the judge, jury or insurance adjuster that they really are in pain and are trying their best to get better. Burn victims that undergo rehabilitation and cleaning of wounds endure some of the most painful treatments imaginable. These treatments and the documentation of the associated complaints are tangible evidence of pain and suffering that will be valued by even the most cynical insurance adjuster. The cost and discomfort of future medical treatment is also an important consideration. The need for future medical treatment and the cost of such treatment will require expert testimony. Car accident settlements or verdicts where such evidence is obtained will usually be higher. Insurance adjusters that use a computer program similar to a personal injury calculator will input future medical bills as part of their settlement value assessment. Insurance companies utilize systems that attempt to create relatively uniform offers for certain types of cases. These systems invariably will miss important facts that drive the value of claims. A plaintiff is entitled to be compensated for the fair and reasonable value of medical services. Assuming that the medical services received are fair reasonable and causally related to an accident the plaintiff should be awarded the billed amounts for those treatments. This is particularly true for hospital care. A person in an ambulance is in no position to shop for the most competitive emergency room rates in Maryland. Expert testimony and/or documentation is required in large claims to establish that the costs for past and future medical care are fair, reasonable and causally related to the accident. A personal injury calculator may accurately value medical bills but it is difficult to imagine that a computer program can accurately assess most of the remaining factors. Insurance company computer programs routinely audit medical bills and fail to offer the full billed amounts in settlement offers despite jurors and judges in Maryland routinely rejecting arguments that plaintiffs are not entitled to recover the billed medical charges. In some cases involving horrible injuries with limited medical bills your lawyer may recommend trying the case without submitting any medical bills. This strategy is employed to eliminate the risk that a jury may issue a damages award that is tied too closely to the amount of the medical bills. The party responsible for the injuries is legally responsible to reimburse the lost wages related to the accident. The person will need a note from their doctor to be off work and a form filled out by the employer indicating the time lost from work and the person’s wages. The Court will not permit the award of lost wages without a doctor indicating that the person needed to be off work due to the injuries. If the injured party used sick or vacation leave the lost wage claim still includes these amounts. Sick leave and vacation time is a benefit that the injured party owned and lost as a result of the accident. Every year thousands of accident victims accept offers that are too low because they fail to realize that they are still entitled to be compensated for lost wages despite being compensated through sick leave. The level of property damage is an important factor in assessing the value of a car accident case. Judges and jurors are likely to award more non-economic damages to a person with identical medical treatment for a back strain in a car accident where both cars were demolished than a car accident involving little to no property damage. Jurors and judges are more likely to attribute complaints after a car accident with little to no property damage to preexisting conditions. Most insurance companies place low property damage car accident injury claims under separate programs with names like MIND (Minor Impact No Damage) and MIST (Minor Impact Soft Tissue). If your case is classified under one of these programs the insurance company is likely to issue an unacceptable offer and force your case to trial. Mr. Patterson engaged critical subject matter experts that really helped uncover all the facts and magnify the negligence in my case. He never gave up on me and the outcome of my case was better than expected. This is actually the second time Mr. Patterson has handled a legal matter for me and in my opinion is the only attorney I would ever consider turning to. His knowledge, skill, and ability is second to none. These losses could include a prepaid vacation that the person was unable to take due to their injuries. Property damage sustained in an accident that was not otherwise paid for by insurance is recoverable. Paying for services that the injured party normally handled but was unable to do because of the injury is compensable. An example would be paying someone to mow the lawn after the injured party broke his leg in a car accident. In Maryland a lawsuit may be filed in the county where the accident occurred, where the defendant lives or where the defendant works. Once a lawsuit is filed smaller cases are decided by District Court Judges and larger cases are decided in the Circuit Courts by jurors. Individual judges have reputations for the verdicts they issue in injury cases. In each county there are multiple judges that are eligible to decide a case. Plaintiffs are unable to choose the judge they would like to decide a case. Thus, the value of a particular case is heavily influenced by the history of verdicts given by judges in the County where the case will be filed. The pool of jurors for particular counties also have reputations for being more or less generous with personal injury cases based on the history of verdicts within a particular county. This history is known by insurance companies and lawyers and influences the value of particular cases. The history of verdicts greatly influences the value of a case but is often a poor predictor of a verdict in a particular case. A particular verdict is often influenced by the judge or jurors’ particular biases and individual appraisals of a particular claim. Individual verdicts for similar cases may vary significantly due to the particular judge or jurors that decide the case. A personal injury calculator or insurance company computer program is unlikely to accurately assess the local judges and jurors that will decide your case based on their assessed value of pain, disfigurement and the disruption of a person’s plans. I meet with my clients during an initial meeting and during the claim process. I do this to make sure that every factor that improves the value of a case is documented and preserved. In most injury trials several witnesses will testify. The credibility and persuasiveness of each witness will influence the value of the case. The most important witnesses to the value of a case are usually the injured party and the doctor. The insurance company will often hire doctors to serve as expert witnesses to offer opinions that the injuries were relatively minor or are not from an accident. An injured party’s treating doctor who has never testified will not be a more effective witness than a doctor hired by an insurance company that has testified hundreds of times. An experienced personal injury lawyer can take steps to make sure that a skilled medical expert will be available to testify on your behalf. An injury case is only valuable if a person is legally responsible the injury. The value of case for settlement purposes will be discounted based on the chances that the defendant will be found by a judge or jury to not be legally responsible for the injuries. If six jurors are not in agreement as to whether the defendant is at fault for the accident the jurors may reach an agreement in your favor by compromising the verdict. Also bad conduct that angers a judge or jury is more likely to result in a higher verdict then content that is wrong but understandable. There are many other factors that influences a personal injury or car accident settlement value. There are not any simple rules for assessing the value of a car accident case. A claim that personal injury cases are worth medical bills times three plus lost wages is false. Any experienced lawyer will tell you that the car accident settlement value for a case with two rib fractures that incurred $1,000 of medical bills and $500 of lost wages is greater than the car accident settlement value for a case with a back strain, $3,000 of medical bills and $500 of lost wages. Likewise a young girl with permanent facial scar from a dog bite is likely to receive a higher verdict from a judge or jury than a 35 year old married man with the same scarring from a dog bite. A jury is likely to award a young girl that sustained a broken finger from a dog attack more than a young girl that sustained a broken finger in a car accident. Typically an attack by a dog involves a greater degree of psychological trauma than an ordinary car accident. What is a fair car accident settlement value? This is probably not the best question to ask immediately after an injury caused by someone’s negligence. The better question to ask is “What can I do to make sure that my case is fairly valued?” The most important step that you can take is to consult with a personal injury lawyer as soon as possible after a car accident, dog bite, truck accident, motorcycle accident or a fall. The personal injury lawyer can guide you through the process and make sure that you take all the steps that are necessary for your injuries to be documented and appropriately treated. Each and every damage suffered in a car accident case has a value that is heavily influenced by the steps that the injured person takes at or near the time of injury and while recovering. Great car accident verdicts and car accident settlements usually result from following the advice of a personal injury lawyer immediately after a car accident. A personal injury calculator likely will fail to accurately determine a fair car accident settlement value. A fair car accident settlement value assessment requires a personal analysis. The insurance companies that attempt to limit insurance adjusters with beating hearts, brains and a lifetime of experience to car accident settlement valuations deemed fair by a computer program will always be punished in trial by jurors and judges that understand the human condition. An experienced Maryland personal injury lawyer can identify the exhibits, witness testimony and evidence of pain, embarrassment, inconvenience and difficulties that a car accident, dog bite, motorcycle accident, or truck accident victim has suffered. 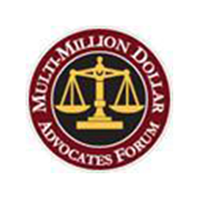 George Patterson is a lifetime member of the Multi-Million Dollar Advocate’s Forum. The Maryland car accident lawyers George and Maria Patterson offer car accident settlement value estimates for clients in Prince George's, Montgomery, Calvert, Charles, St. Mary's, Howard, Anne Arundel, Queen Anne's and Baltimore Counties. The Bowie car accident lawyers represent clients from Silver Spring, Upper Marlboro, Bowie, Forestville, Prince Frederick, Leonardtown, Annapolis, Edgewater, Rockville, Mayo, Bethesda, Germantown, Olney, Beltsville, Deale, Bethesda, Severna Park, Largo, Landover, Oxon Hill, La Plata, Waldorf, Crofton, Columbia and Riverdale. If you were involved in a car accident and would like to discuss the settlement value of your car accident case please call attorney, George or Maria Patterson at 301-383-1522 to arrange for a free consultation at his office located in Bowie, Maryland in Prince George's County. Each case is different. 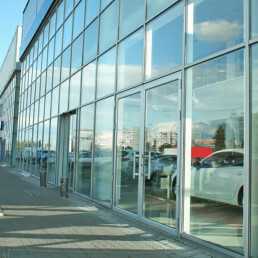 Past records are no assurance that our lawyers will be successful in reaching a similar car accident settlement value.